Select ... No thanks Yes Script please! Yes Block please! Add a 2.5" x 3.5" Photo Holder? 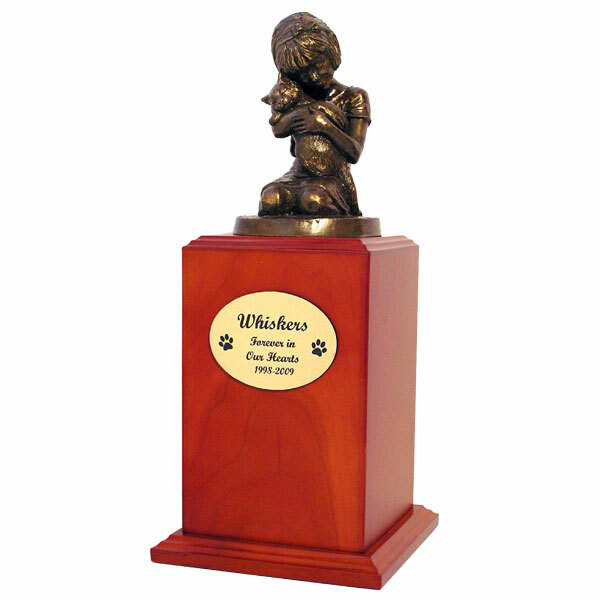 Make a tribute to your beloved cat with this beautiful cat cremation urn. 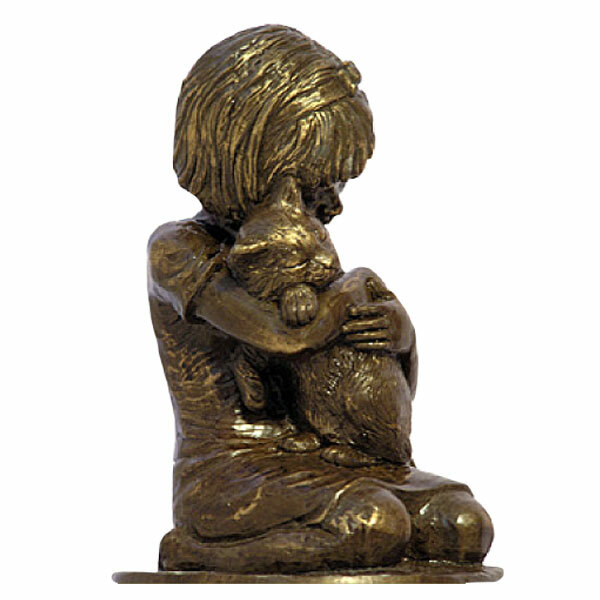 This cat cremation urn features an adorable cat being embraced by a girl. 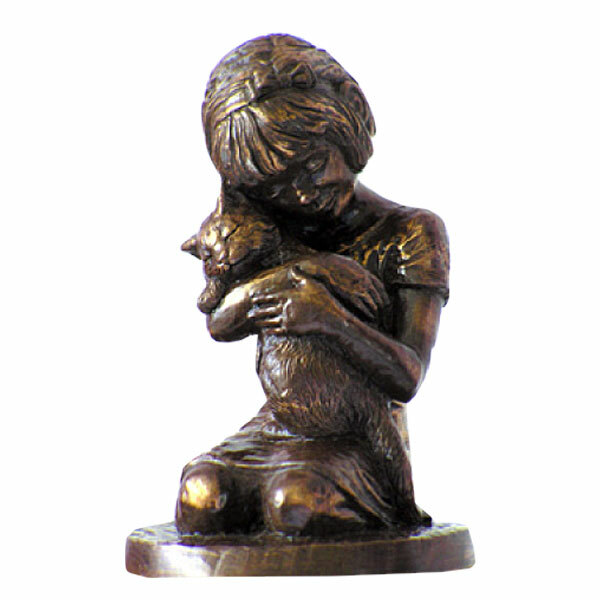 The figurine is cast of polymer with bronze additive and hand finished with bronze patina. The figurine itself rests upon the exceptionally crafted cherry wood urn that is loaded at the base of the urn. An optional engravable plaque may be affixed to the front of the urn for an additional cost as well as a 2.5" x 3.5" photo holder. A wonderful way to honor your beloved pet. Dimensions: 11.5" x 4" x 4".